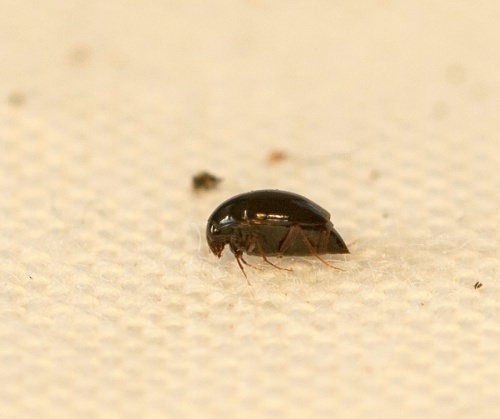 A small (2 mm) blackish-green beetle which is rather tear drop shaped. Found in rotting timber and bracket fungi. All year round, especially August and September. Occasional in Leicestershire and Rutland. There were a total of 12 VC55 records for this species up to March 2015.